Not much going on of late. 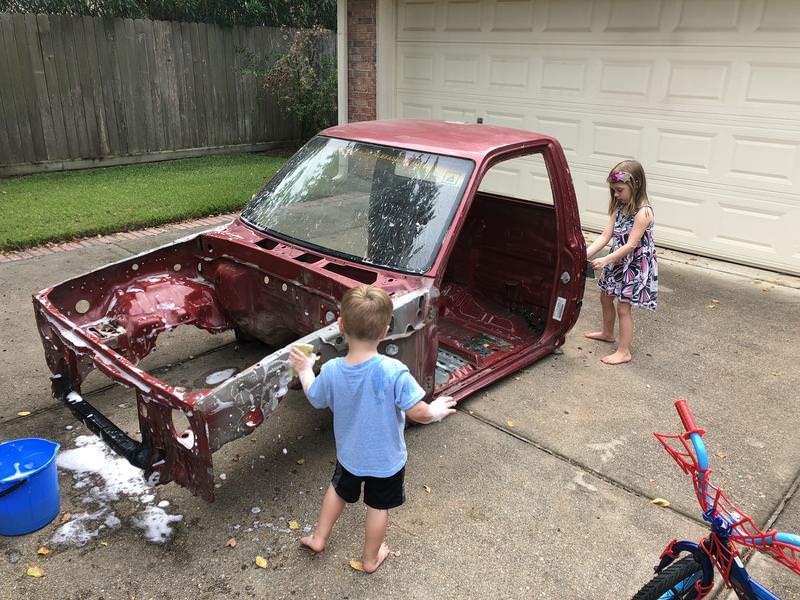 Work and kids have limited my time to work on the truck. That said I did decide and put some bed liner on the bottom of the cab so I picked up some Raptor Liner off Amazon and pulled the cab out of the garage to start washing it down a little. I even managed to get some "help" scrubbing down the cab. 24 years of grim on the underside is taking a while to get cleaned off but the majority of it is relatively clean now. 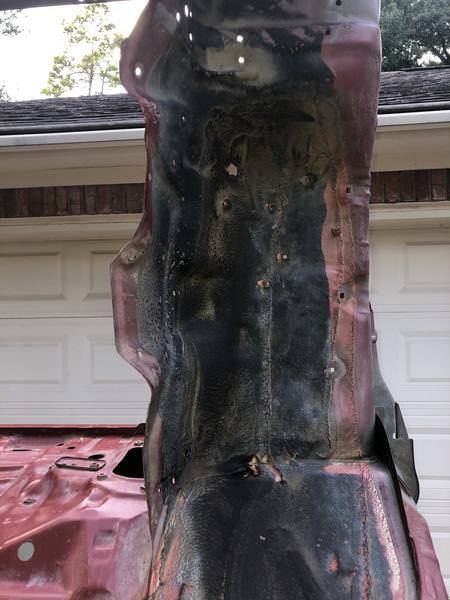 I still need to get a wire wheel out to remove some of the seam sealer stuff that is flaking off and the tar mat inside the cab along with deciding what to do about the rubber coating along the sides of the undercarriage. Definitely nice to do it now while everything is apart! Nice to have some help too. This is the rubber coating on under the truck. There is two different kinds under the truck and in the wheel wells. I'm trying to decide what to do about the coating and if I should remove it before applying the Raptor Liner. It looks like pain to remove but I will if I have too. Might be best to give the Raptor Liner guys a call and see what they think about applying it over the rubber coating. id leave it, it could create more headache for you. removing it. its a seam sealer/sound deadener. spray over it. Well good news on the rubber coating. 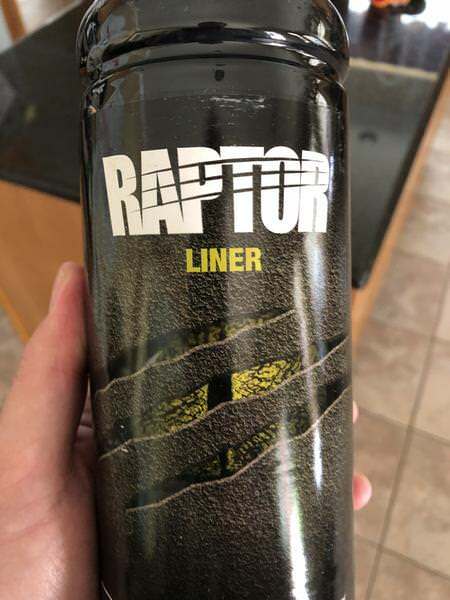 I talked with the guys at Raptor Liner and as long as it is cleaned up and prepped with 180 grit it should be just fine. 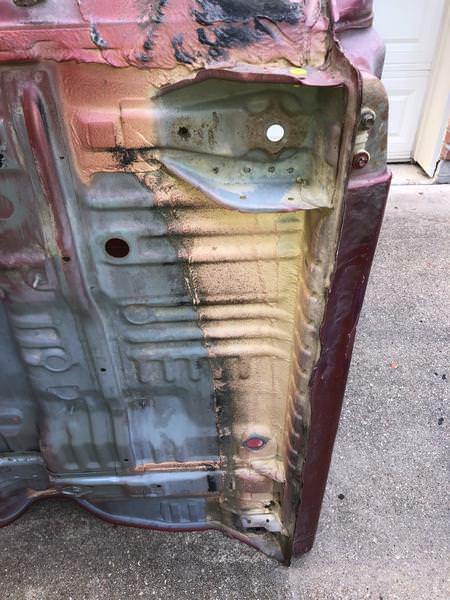 I was planning (and they recommended) to apply a coat of their 2K epoxy primer first and then the liner. So that should save me bunch of time. we use Raptor Liner in our bodyshops. Thanks THK Matt, seems like the over general consensus is to coat over it. Good to hear from people that use it regularly.